The anatomy of the wrist is complex, composed of multiple bones and joints. The structure of the wrist allows us to be able to use our hands with strength and a full range of mobility. When the wrist becomes injured in any way, doing everyday tasks and activities, such as sports, lifting objects, and job duties may become difficult. Problems in the muscles and joints in your wrist, such as arthritis and carpal tunnel syndrome, can cause chronic pain, loss of motion, swelling, and inflammation. 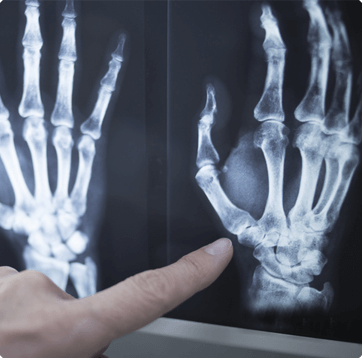 At New England Hand Associates, our board-certified and fellowship trained orthopedic surgeons commonly see and treat conditions involving the bones, ligaments, tendons, and nerves of the wrist. Fortunately, for many wrist injuries or conditions, surgery and hand therapy can help. Call New England Hand Associates today at our main office in Framingham, Massachusetts at (508) 872-7881 for expert evaluation and diagnosis of your wrist problem. We’ll explain your treatment options and help determine the best course of action for you. We also have offices in Milford, Concord, and Westford to serve you.